Hi sweet friends! 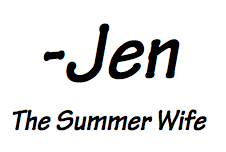 I have just been waiting and waiting (…and waiting!) 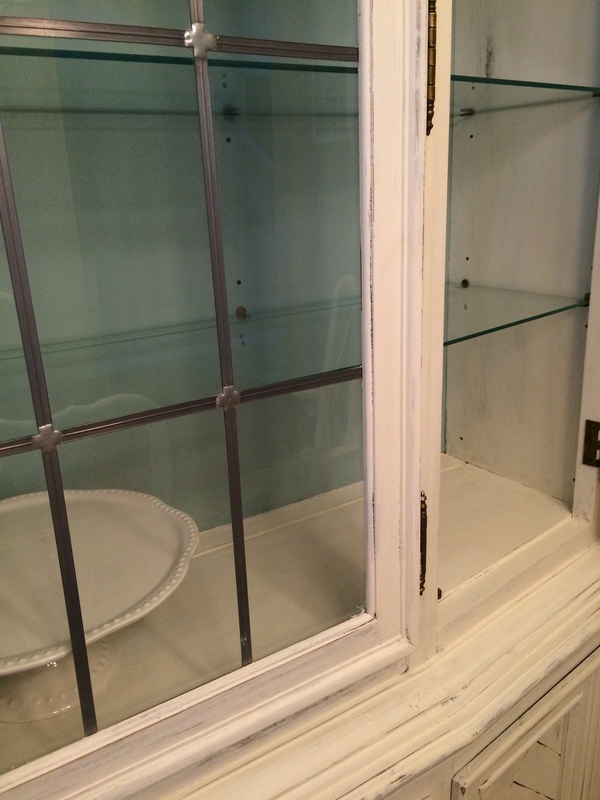 to share my china cabinet with you and it’s finally time for the BIG reveal! 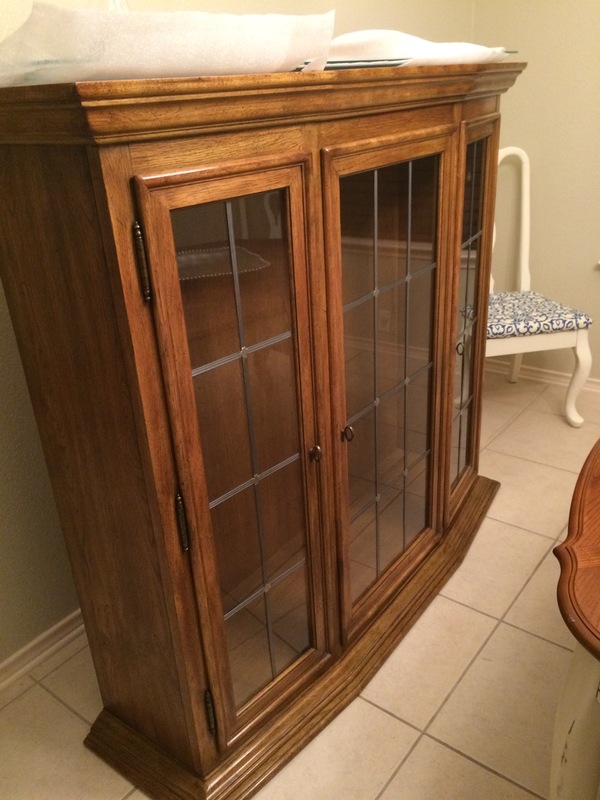 Last May, I began my search on Craigslist for a china cabinet in the area around us. 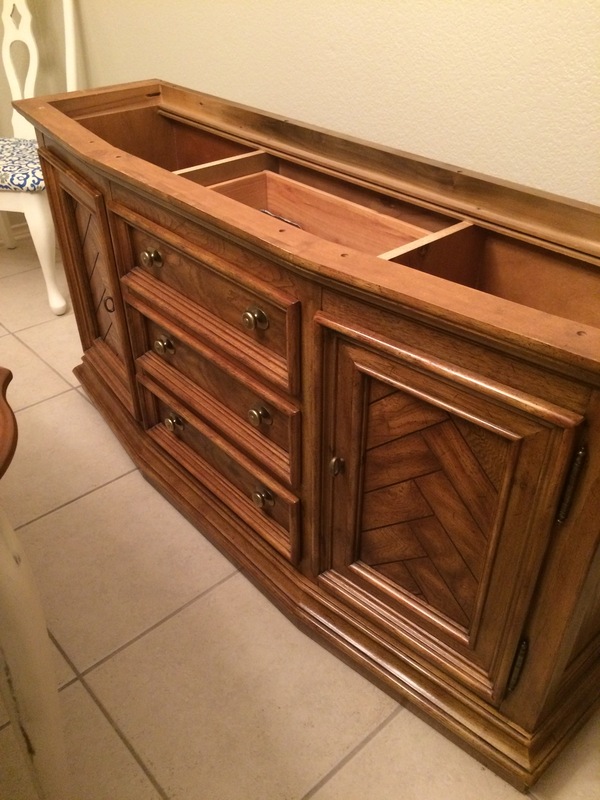 After finding two, I went to view one with my husband and a day later, with a rented Home Depot flatbed and brother-in-law in toe, we brought it home. About mid-June I began the painting process. 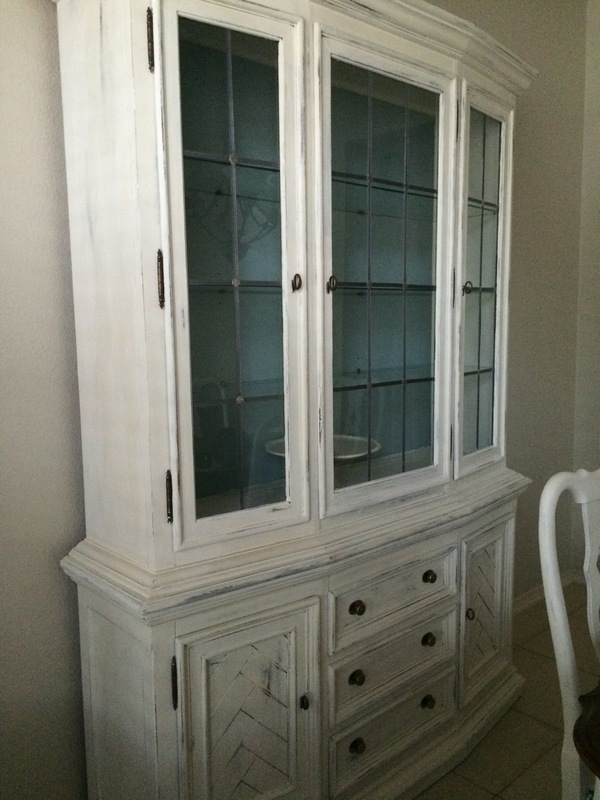 I used Old White Annie Sloan chalk paint so that the china cabinet would match the dining room table. 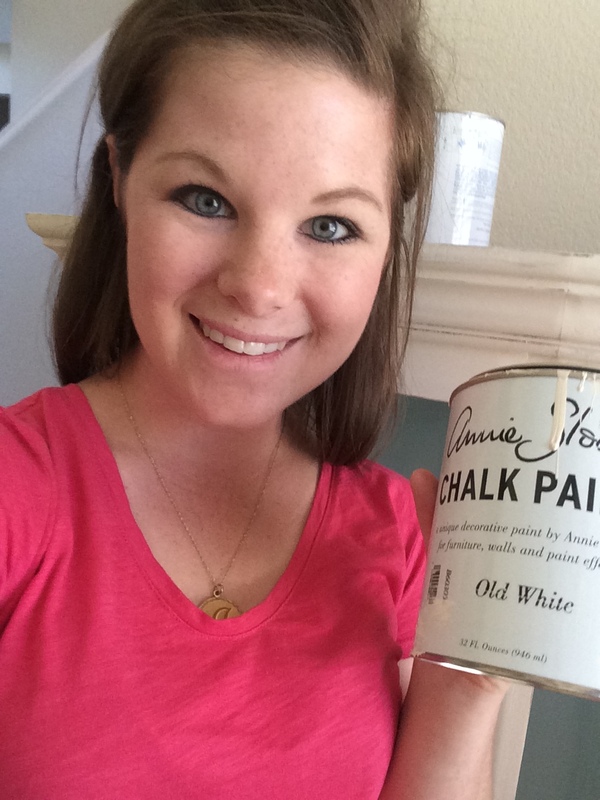 I use chalk paint (not to be confused with chalkboard paint) because it gives furniture an aged, shabby look. 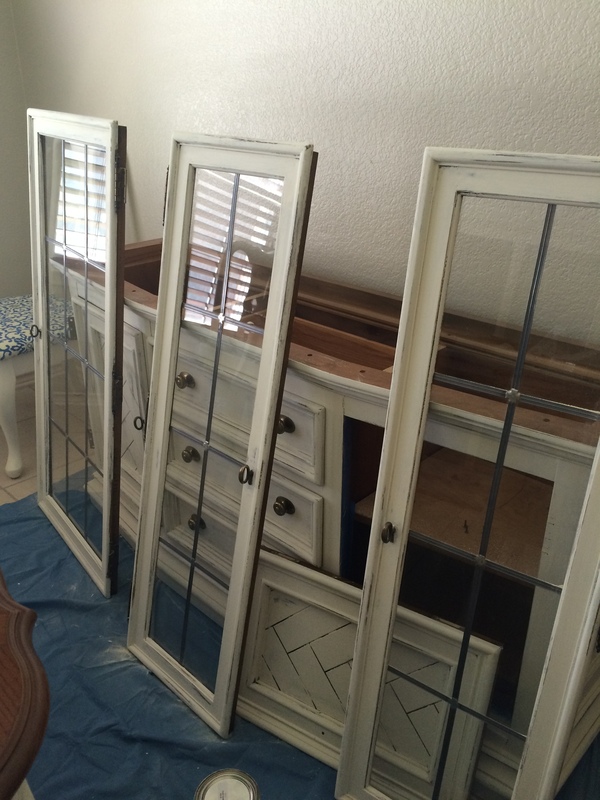 Chalk paint is easy to use and if you’re painting isn’t perfect it’s okay, because after all shabby-chic has an imperfect look to it. 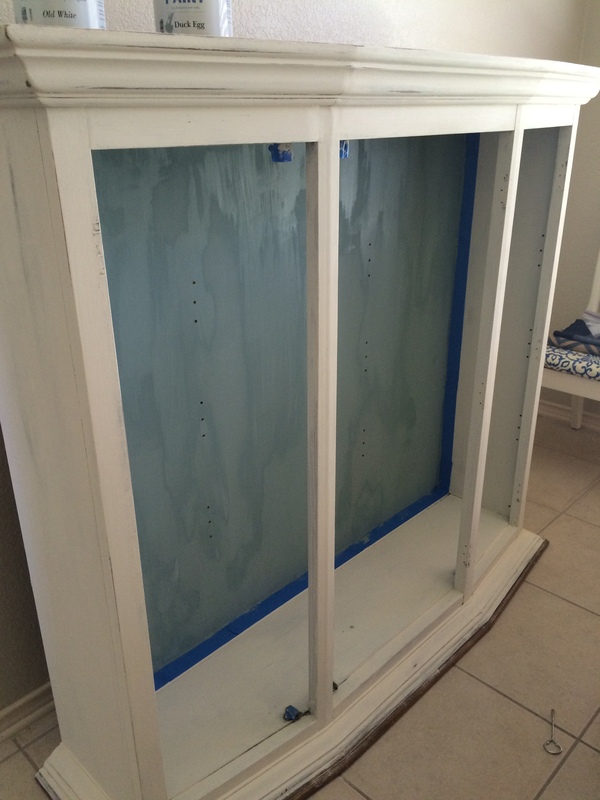 I used Duck Egg Blue Annie Sloan inside the china cabinet. I wanted our china pattern and other white/cream accessories to POP! Reassembly was easy. Screws and a little easy elbow-grease (thanks, Greg!). I’m officially in love with this piece and am so excited to celebrate with family & friends in this space for years to come. Check back later this week to read about all the pretties that are now inside!